If you have not seen the video of CNN journalist Ashleigh Banfield responding to the accusations from an anonymous source of sexual abuse by comedian/actor Aziz Ansari, you need to. Here’s the link, as presented by newsweek.com. The accusations and the response have given rise to a lot of impassioned discussion and controversy, and women across the globe need to sort out the facts. The point of your inquiry should be not whether the events took place but whether the events amount to the kind of sexual harassment that is the benchmark of the #MeToo movement and the #TimesUp movement that followed. Those movements are founded on a recognition that women have suffered abuse in the workplace because of an imbalance of power where they were powerless to refuse unwanted advances and remained silent because their employment and financial livelihood depended on cooperating with the abuse by powerful men, who controlled their futures and their ability to work. That is not what the anonymous blogger complained of. Rather, she complained of a date gone wrong, albeit with raw and unsavory facts, but a situation where she had the POWER to walk out —- as in TO LEAVE a situation that had turned into something she did not want. She HAD THE POWER and leaving would not have cost her a job or curtailed any of her future employment opportunities. There are no facts presented to indicate that she was being forced in any way to stay and to continue to experience behavior that she apparently found abhorrent. In fact, when she finally did leave, the alleged abuser did not stand in her way. Far from it. Why is this important, and why am I breaking with tradition by taking it on? The answer is simple. Because, as Ashleigh Banfield states in her open letter to the accuser, complaints like those of the accuser diminish the value of legitimate movements, which involve true sexual harassment and abuse of power. Muddying the water with descriptions of dates gone wrong (rather than workplace abuses) and women who fail to use the power they possess to extricate themselves from objectionable circumstances serve to retard the progress of these legitimate movements rather than advance them. I have been talking about and writing about women lawyers using their power to control and manage their careers for over a decade. Now, I want to send that same message to all women. Although you may encounter an imbalance of power, you must use the POWER YOU HAVE to change your circumstances and protect your futures. You have VALUE, and you have POWER. Understand it and use it. To do anything else is to join the abusers. Have Women Lawyers Lost Something on Their Way to Becoming Leaders? This article from The Atlantic caught my eye on my news feed earlier this week. It addresses what the writer thinks women have lost in advancing their opportunities in the workplace. It is a historical perspective, but the message is meant to be very au courant. Although I have my own thoughts on the downside for women as we struggled to take our places at the tables of power in law and business and some of the messages that worked against the causes we were trying to advance, I have not given much thought to the kind of loss that is addressed in The Atlantic article. I think I should have, and, as a result, I think you should, too. You all are familiar with the balance themes that I and others write about. But this is different. The question posited in this article is how much can women advance in the workplace without leaving other valuable contributions on the cutting board? But it is not the typical contributions to home and family that is addressed in this piece. Rather, it is contributions of a different, albeit related, nature like the benefits of community involvement and volunteerism? The article compels the reader to ask how important those other things are, to both individuals and to society. In other words, we know that it is almost impossible to be committed to careers in law and business and also have time for the Girl Scouts, the community board or the grass roots political cause, but should we care? Should we strive to do something about it? I am surprised that I had not focused on this before. I have devoted a huge amount of time and effort to charities and community concerns over my career as a lawyer, and it has enriched my life. I have volunteered at the lowest levels and also been on boards of directors for a music association, a women’s charity, a civic association and, now, a land and conservation trust. Honestly, I do not know who I would be without this kind of involvement. But, that does not make it easy, and that does not make it for you. However, I think you would gain some valuable perspective just by reading the article. It is lengthy, so I will share the last paragraph with you. It is good food for thought. As women have taken greater positions of leadership in the United States, they have also left a leadership vacuum behind them. In middle-class, highly educated communities, women may be busier and more tired than their mothers and grandmothers once were, but they mostly figure out ways to advocate for their kids at school-board meetings or volunteer to chaperone a class trip to the zoo. The people who have suffered most aren’t white and well-off; they’re lower income, poorly educated, and largely disconnected from the rich network of membership-based associations that used to provide both a local sense of community and a national voice in politics. Women in these positions have lost access to one of their only means of gaining leadership skills. And while many of their educated, wealthier peers now have alternatives to the suffocating housewife’s life that so enraged Betty Friedan seven decades ago, some experience it as an opposite kind of suffocation: a never-ending, ladder-climbing work life, the height of which is making money for someone else rather than building a world in which they’re invested. Tell me what you think. In October I will be speaking at a DirectHer Network event in Washington, DC. The members of the DirectHer Network work tirelessly to place women on corporate boards of directors where the can utilize their invaluable leadership skills. I will be happy to include your comments in my remarks there. How About That Special Place in Hell? Let me make something clear from the outset. The following is not a political statement. In no way does it indicate my political preferences or party allegiance. Best Friends at the Bar is an apolitical project, by design. But, there is something regrettable to report, and report I shall. For years, since the beginning of the Best Friends at the Bar project, in fact, I have enjoyed repeating a famous quote from Former Secretary of State Madeleine Albright. If you have read my books or attended my programs, you know it: “There is a special place in hell reserved for women who do not help other women.” I like the quote because it speaks to women’s empowerment, to a kind of solidarity that will help lift women to equality in all things, and, let’s face it, it’s catchy. Just last week I repeated it at an event at the University of Maryland Law, and it always elicits good audience response. It is an important quote for my project because there is still room in the law profession for more examples of women helping women. 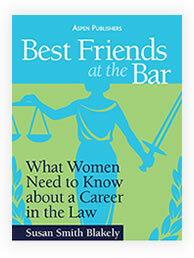 Plenty of room, in fact, and women helping women is an important goal of Best Friends at the Bar. We still experience senior women lawyers who are reluctant to reach down helping hands for young women lawyers to increase awareness of the challenges ahead and how to survive those challenges and advance in a male-dominated profession. Some of these Queen Bees need to hear the Secretary’s quote on a daily basis. Or even more often. I have met Madeleine Albright, and I have discussed the quote with her and the importance of it to my work. She totally gets that application because she has three daughters, and all of them are lawyers — more evidence of the perfect fit for her quote to the Best Friends at the Bar project. However, something happened this week on the way to the New Hampshire Primary. The quote has now taken on political overtones, which makes it less useful as a generic statement of women-for-women solidarity in pursuit of equity. This shift took place when Secretary Albright suggested at a Hillary Clinton rally that women who did not help elect Hillary Clinton were headed to the Down Under. Her exact words were, “There is a place reserved in hell for women who don’t help each other,” followed by a battle cry for Hillary Clinton. This is regrettable on two counts. First, it contradicts Ms. Albright’s own words. You may recall that, during the 2008 presidential campaign, then vice presidential candidate Sarah Palin attempted to use those words of Secretary Albright for her own political purposes. At that time, Secretary Albright pushed back and said, “Though I am flattered that Vice Presidential Candidate Governor Palin has chosen to cite me as a source of wisdom, what I said had nothing to do with politics.” Wish she had stuck to her guns. Second, politicizing such a strong rallying cry for women diminishes its value. Are we left with a quote that is only useful to one political party or even one candidate and her followers? Have women outside of those interest groups lost a strong statement of women’s solidarity for purposes quite apart from the political process? For reproductive rights? Or pay equity? Or myriad other social changes? Have those powerful words disappeared into the ether, tainted now and no longer useful for the purposes for which they were uttered? Difficult times. Desperate measures. Not so wise as it turns out. Client development is the single most important requirement for your success in the law. You have heard it from me before, and you will hear it again. 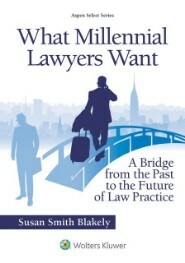 It seems to be at the bottom of most of the dilemmas and career disappointments that I hear from women lawyers today. Women lawyers, both young and older, are finding out at different points in their careers just how important client development is—-or was. Having your own clients gives you independence, and independence is what protects your job security. If you have developed your own clients and can walk out the door with them, the invitation to walk out the door—the pink slip or RIF—-may never come—- or your decision to try something different than your law firm will be an easier one to make. You have developed something of value by having clients that are loyal to you, and that loyalty is apparent to everyone around you. Ushering you out the door is inviting clients to go with you and affects law firm profits. That is never a good thing for a law firm. Why am I harping on this again? Two reasons. First of all, I was recently in a conversation with a woman lawyer, who felt helpless at the end of her career because she had no personal clients and her law firm was shutting down. This is a real dilemma, and you do not want to risk it happening to you. It is the result of Old Rules vs. New Rules, and it is not clear at all that any of us should have seen it coming. It is no longer enough to be “the best lawyer you can be.” Under the New Rules, you now must be “the saviest best lawyer you can be.” Today, it is simply not enough to sit in an office for most of your career doing really good work for other people’s clients. What worked 15 years ago does not work any more. Here’s why. Years ago law firms were structured in a way that fulfilled the expectation that the top dogs at the law firms get the clients, have younger lawyers work on client matters, and eventually pass the work down to those younger lawyers when the top dogs retired. Sounds simple. And, it worked pretty well for a lot of years because the top dogs who had the work were able to keep the work, and then they retired and passed the work on. However, enter competition—the kind of competition that pitted law firms against other law firms bidding for the same client work. It was competition like our profession had never experienced before. Add to that the economic downturn where potential clients were holding back on expenditures for legal services, and the top dogs did not want to share their clients with other lawyers. Suddenly they needed all the billable hours they could muster to justify top salaries in the not-so-great economic time. Are you beginning to see the problem? Now consider that many of the top dog baby boomer lawyers have not been retiring during the recession, and not as much work is flowing downhill to the mid-level partners. As I am sure you recognize by now, this is a real problem for the mid-level and younger lawyers who do not have their own clients and are not inheriting them as readily as in days gone by. So, be smart. Be savvy. Get out of your cubicle and sharpen your client development skills. If you do not have those skills at all, find a mentor who can help you learn them. Be creative. Look for clients in your professional life and in your personal life. Get involved with bar associations, where you can develop relationships with lawyers who will give you conflict work, and get involved in the trade associations and other industry groups where the clients you want hang out. Although you will have to do much of this before and after your typical workday, you must find some way to do it. And don’t forget the development opportunities in your personal life. Never overlook an opportunity to talk to your friends about legal services they might need, and consider every person you meet in your personal life a potential client. Read my books and find out how to do that without offending everyone and losing your friends. It is possible, and it is critical to your future independence as a lawyer. Here’s the second thing that got me thinking about all of this again. An article in Salon.com on March 23rd really got my attention. That article, “Can Women Over 50 “Lean In”? addressed the problems for women either trying to re-enter the workforce after having children or women who cut back on their workload and are trying to ramp up again. The author points out that “leaning in”, as advised by Sheryl Sandberg, does not work for women in those situations for a variety of reasons, including a disconnect with business and skills during the hiatus period and what really amounts to veiled age discrimination. Although the article is not specific to women lawyers, I could not help but think of women lawyers when I read it. One thought kept coming back to me: Wouldn’t it be easier for those women lawyers over 50 to find their places in the workforce if they had paid more attention to gaining and retaining clients during their earlier careers? Unfortunately, many of these women practiced under the Old Rules and could not have anticipated this rule change. I sympathize with their situations, and I wish I had better answers for them. We all have seen huge paradigm shifts in the economy and in business in recent years, and this is just another one of them. Past as prologue, learn from it and don’t forget what you learn. Job security. That is what it is all about and why client development is and will be so important to all of you. Protect your future. Client development is like putting money in the bank. It just makes sense, and it can make a huge difference in how your career unfolds. And that is why I keep talking about it. This time of year I am seeing lots of Internet activity about Law School Women in Leadership Programs. More and more law schools are initiating these programs, and they are excellent training grounds for young women law students. The focus is on leadership skills but also on the challenges that women face as leaders within the legal profession. The programs typically feature law school faculty, undergraduate faculty, alumni and other attorneys participating in lectures, small group discussions, group exercises and panel discussions. These programs are particularly important for young women lawyers and law students. The way that women lawyers successfully handle issues in the workplace and in the legal profession, especially, can be very different from the way that male lawyers successfully handle similar issues. Whether we like it or not, the rules for men and for women in our profession continue to be different. What is acceptable behavior for a male practitioner may be viewed as very inappropriate for a female practitioner. Knowing the rules and how to use that knowledge to rise to positions of leadership is a critical component of developing female power in our profession and improving the profession for women. Many of these programs also include the historical perspective to help young women lawyers know where they came from as well as help them figure out where they are going and how to get there. 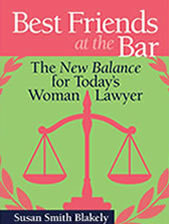 Seasoned women lawyers can add a lot to these programs with their experiences and wisdom about how to survive in practice. Women who have walked the walk and can talk the talk. 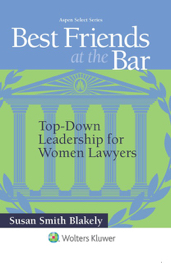 Does your law school have a leadership program for women? If it does, be sure that you attend the program. If it does not, take a leadership role in developing one. Your career counselors can help you put together a program that will set you on the course to being successful and satisfied women lawyers. It is the job of career counselors to be familiar with the leading authorities on these issues in the local area and on the national scene. Access that expertise to develop a program that will allow you to gain some of the most important skills you can from law school—the ability to function in a professional system in a way that will enhance and promote your leadership skills for the benefit of yourself, your employer and your profession. Onward and upward. You are the mistress of your own destiny.